Vancouver Mom > Holiday > 7 ways to make the holidays picture perfect! Looking for a unique gift that you can order online and pick-up in-person? Maybe it’s time to actually print those gorgeous Instagrams you’ve been snapping. 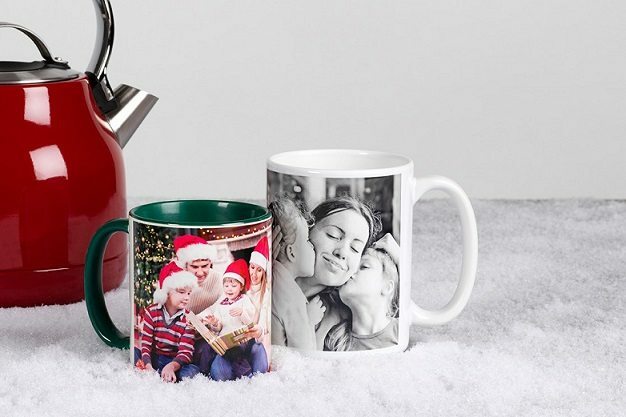 They make stunning personalized holiday gifts, and the best part is you’ve already done most of the legwork by cropping and filtering so why not get those cards, mugs, photobooks, water bottles or stocking (yes you hear that right!) done in time for Christmas? You know which ones are the keepers, so send them off to the London Drugs Photolab. Here are a few ideas to get you started, and the best part is that they’re things you can create inexpensively and have them ready before you can say ho-ho-holidays. Grandparents love photos of the kids and talk about an easy gift! Get one of your faves enlarged and framed and order it online. Alternatively, you can get photos laminated or metalisized for a super cool looks. Forget those run-of-the-mill generic holiday cards—it’s so easy to create personalized cards with your photos and they are just so much better! The London Drugs Photolab offers a lovely selection of themed templates for you to choose from, plus premium card stocks so you can truly make it your own creation. This is the perfect last-minute gift and it looks beautiful. 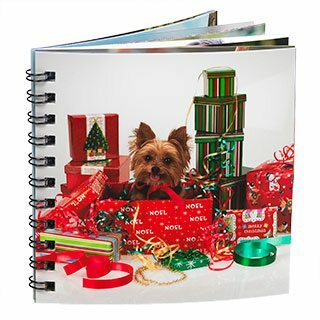 London Drugs’ 8×8 photographic Express Books can be made within 24 hours at any of their locations. All you have to do is choose your photos and they create a sharp and professional photographic book with a black leatherette cover. This might be cute for a school teacher, filled with photo memories of field trips and school concerts. Everybody loves Instagram, and these cute little books make the perfect stocking stuffers. It’s super easy to just select your fave photos from your feed and the London Drugs Photolab will turn them into a beautiful square photo book filled with special memories and people you love. Great gift for family members who don’t get to see your Insta feed on a daily basis. Can you imagine anything more adorable than a tree ornament with a pic of baby? Fast forward 20 years and it becomes a treasured keepsake. Teacher gift alert! Personalized photo mugs can be hilarious, sweet, romantic or just cute. All you have to do is pick a colour, design, and pick your photo. These are great as stocking stuffers or as gifts for colleagues or teachers. Kick it up a notch with a personalized water bottle! Order a stylish water bottle! Santa is sure to get the stocking stuffers right if it’s personalized with a fun photo of the kids or fur baby. You’ll be sure to hand this one with care. The holiday puzzle is an annual tradition in many households. So why not make one yourself. London Drugs Photolab can create a puzzle out of any photo you like. Order the perfect holiday puzzle! Deadlines! A great selection of products are available for same day or next day pickup, up to December 24th including Enlargements, Canvas Gallery Wraps, Express Books, Photographic Calendars and Mugs. See a Photolab expert for details. Download the App! Prints and creative products can be ordered through the super easy-to-use London Drugs Photolab App for iOSand Android! (order Christmas gifts on the soccer sideline!) You can also use the London Drugs Photolab website, or an in-store LDPhotolab kiosk at a local London Drugs location. London Drugs is 100% Canadian owned and focused on local customers’ satisfaction. The LD Photolab offers a range of services including film processing, passport photos, scanning, digital restoration and personalized gifts.